Some of the best Caribbean accommodation is available in Antigua. There is a huge choice of Antigua accommodation, whether it be hotels, villas, condos, studios and apartments, or hostels and guest rooms. Within the hotel sector, there are small and large hotels, all-inclusive and family-friendly resorts, boutique hotels as well as condos. Beachfront, waterfront, ocean view, city and garden views, whatever type of property you wish to stay at in Antigua, you will find it here. If you prefer self-catering or dining out, there is a huge choice of houses for rent, villa rentals, apartments and cottages. Properties range from shared rooms in hostels to some of the most beautiful luxury villas in the Caribbean. is an intimate waterfront Inn and open-air restaurant in Nelson’s Dockyard, English Harbour with a nautical atmosphere, in a quaint Georgian brick building dating to the 18th-century and featuring modern amenities. is an intimate hotel situated close to Dickenson Bay. All rooms are air conditioned with Cable TV and Internet data ports. It is only 5 mins drive away from 3 superb beaches, the city of St. John's and a 18 hole golf course. is a stylish resort with stunning harbour views, 20 intimate hotel rooms, plus 36 suite studio residences, alongside a gym and a full service marina. based in the North of Antigua is an intimate beach front hotel with the highest service standards. The resort includes 3 restaurants, 3 bars, 7 swimming pools and acres of landscaped tropical gardens to enjoy. Carlisle Bay is situated on one of the island's most beautiful beaches. The award-winning contemporary hotel has 87 suites, three restaurants, an exceptional spa and a range of exciting activities - from water sports to tennis. situated on the south eastern side of the Antigua in a peaceful and quiet atmosphere, is directly on the beach of the beautiful natural harbour at Falmouth. 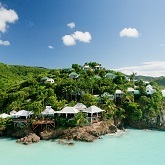 is a colorful collection of 53 private wooden cottages with magnificent sea views located on the West Coast of Antigua. They are ideally suited for couples and romantic holidays & provides both Wedding & Honeymoon packages. 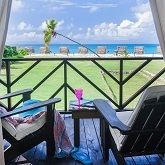 is a collection of 30 Caribbean Cottages located on an ocean bluff, with an outdoor shower, balcony and an amazing view! is situated in the centre of historic Nelson's Dockyard in Antigua & is the perfect blend of spacious living and naval history. Each suite or studio is uniquely individual in decor & has exquisite views of the harbour. is a residential development in Antigua offering comfortable short, medium and long term accommodation. 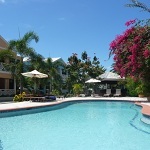 It is conveniently situated near to St. John's, VC Bird International Airport, white sand beaches & a 18 hole golf course. An intimate, adults-only hideaway, Galley Bay delights guests with its refined yet unpretentious atmosphere. Its secluded setting on the tranquil West coast of Antigua enjoys 40 acres of tropical gardens between a bird sanctuary lagoon and a ¾ mile long beach. at Dickenson Bay Antigua is an ideal hotel for all the family. All rooms are fully air conditioned and there are many amenities nearby. is a couples-only, all-inclusive Antigua Resort unlike any other. A quaint boutique hotel offering a beachfront location with sweeping views of the colorful Caribbean Sea. offers you quick access to beaches, restaurants, bird-watching in 5 minutes; St. John's (capital), shopping, and entertainment in 5-10 minutes; the airport and AUA in 10-15 minutes. is a luxury private resort surrounded by forty acres of beautifully landscaped gardens with ocean views and its own secluded beach. In its design and everyday culture, Nonsuch Bay offers residents and visitors alike an authentic Antiguan experience within this very elegant setting. is situated on a beautiful white sand beach. It offers all the comforts of home at either beachfront or ocean view accommodations. There are a wide choice of amenities including tennis, watersports & a spa as well as many dining options. A wedding coordinator is also available to help plan your special day. has earned the title of "World's Most Romantic Resort" and takes pride of place on Antigua's most famed beach, Dickenson Bay. Featuring luxurious accommodations such as Beachfront Suites & Ocean Villas and many amenities including 6 pools, Red Lane Spa, 11 restaurants and much more. is a small and special resort for individualists and romantics, set in a carefully cultivated mini jungle of tropical plants and flowers reaching to the waters edge on the sheltered mile of white sand beach at Dickenson Bay. is set to become one of the premier boutique hotels in the Eastern Caribbean. It is a stylishly designed 20 room condo hotel that will be in a secluded location with its own beach yet close to all the amenities of English Harbour. Tucked away on a private 100-acre peninsula on the SE coast of Antigua, the St. James’s Club exudes a casual, club-like ambiance and has a longstanding reputation for exceptional service. offers great value, all-inclusive Caribbean vacations. All rooms and suites have ocean views along a mile-long white sand beach in surroundings that reflect the natural beauty and unique culture of the Caribbean. is a contemporary 60 room hotel with breathtaking views over the Caribbean Sea. Its convenient location provides the perfect venue from which to explore the island and some of the best beaches in Antigua are just minutes away. is a stylish and elegant boutique hotel and resort, and includes tastefully furnished and well appointed ocean view beach front suites all with either panoramic views of the harbour or right on the beach, two restaurants and a spa and gym. 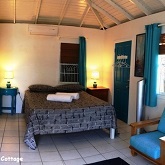 provides affordable, Antiguan, bed & breakfast accommodation in an area surrounded by beauty, charm and tropical elegance. Nestled along Antigua's pristine northeast coast, this Eco-friendly luxury resort encompasses 30 spectacular beachfront acres. Certified by Green Globe as a “Green” resort, this property is an ideal vacation spot for family getaways or romantic escapes. is beautifully situated on a hillside overlooking the spectacular Dickenson Bay and set within lush, landscaped gardens. It contains 50 spacious rooms & suites and many have stunning vistas.